Meter Reading | Ramsey Water Company Inc.
Ramsey Water Company will read all meters around the 15th of each month! STEP 1 Locate your meter box, generally found towards the front of a property, near the street. The meter is typically in a direct line with the house. It is housed in a metal or concrete meter pit. 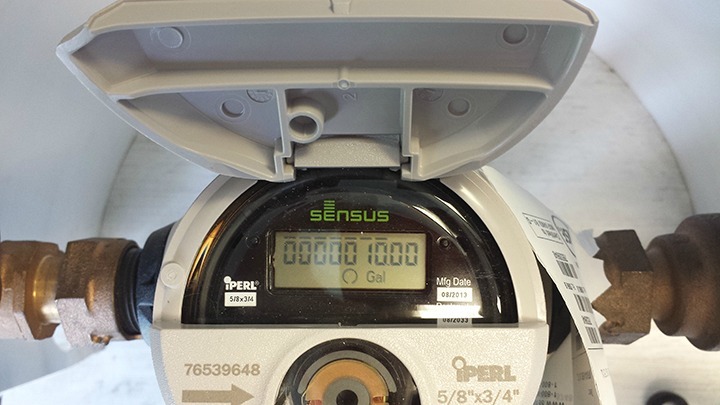 A picture of meter is shown below. STEP 2 Once you open the meter box lid, lift the protective cap on the meter. On the face of the meter, there is a large dial and a display of numbers. 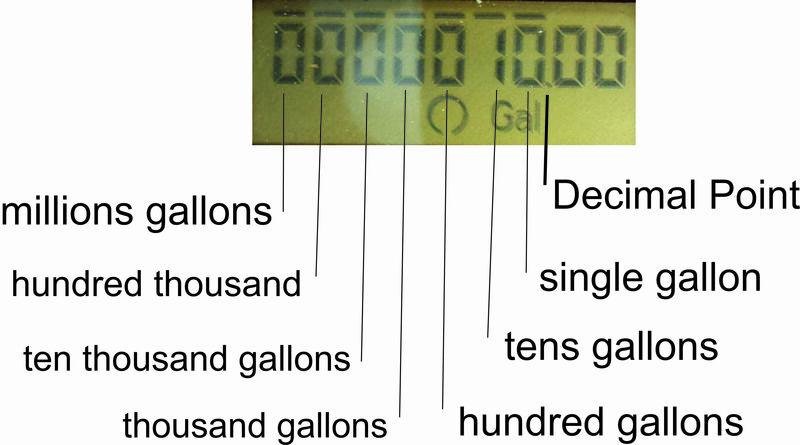 For the residential meter, each rotation of the dial measures to hundredth of a gallon. Read the number display from left to right. This is your meter reading. Our meters measure water in gallons. Charges for the amount of water consumed are rounded to the nearest hundred gallons used during a billing period. Compare that reading to what your bill states as your current or present reading. See attached document for detailed reading information.